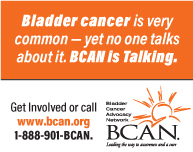 Cigarette smoking remains the greatest preventable risk for developing bladder cancer (BC), with roughly 75% of patients with newly diagnosed BC having a strong smoking history, and roughly 25% still being active smokers . As physicians we all ask about current and former smoking histories, but rarely do urologists (or medical oncologists or radiation oncologists) actually initiate the conversation about stopping smoking, and make appropriate referrals to smoking cessation programs. There are many reasons to restrict administration of allogeneic perioperative blood transfusions (PBTs) including avoiding transfusion reactions, transmission of infections, sensitization against future transfusions and organ transplantations, and of course, “waste” of a precious and scarce resource. However, the one that concerns bladder cancer surgeons the most is having worse oncologic outcomes, particularly reducing cause specific (CSS) and overall survival (OS) for patients undergoing radical cystectomy. Bladder cancer is the most expensive malignancy to treat over the lifetime of patients [1, 2]. What is not often recognized, particularly by treating physicians, is that these costs are frequently a source of great concern and anxiety among patients with the disease and their families – a condition termed “financial toxicity“ (FT). This was emphasized in a recent article by a team at the University of North Carolina’s Lineberger Comprehensive Cancer Center . The diagnosis of any cancer is a very serious event. It is thus not surprising that the response to such a diagnosis in many patients is despair, fear and concern. As one might expect, as a reflection of this psychological stress, the rate of suicide among patients receiving a new diagnosis of any cancer (except non-melanoma skin cancer) is 2 to 3 times higher than in the age and gender matched general population, being minimally higher with advanced age, slightly higher (1.28 times – but with overlapping 95% confidence intervals) in men than women, and higher yet in patients with pre-existing serious (requiring psychiatric hospitalization) psychiatric conditions. The molecular alterations of muscle-invasive (MI) urothelial cancer (UC) have been studies extensively by the Cancer Genome Atlas (TCGA) . A consensus classification not dissimilar to that used for breast cancer, with luminal and basal subtypes, among others, reflecting various degrees of tumor aggressiveness and responsiveness to systemic chemotherapy, has been developed. Between 15 and 20% of patients with newly diagnosed urothelial cancer (UC) of the bladder will have high grade (HG) non-muscle invasive (NMI) disease including carcinoma-in-situ (CIS) and stage Ta and T1 tumors . After transurethral resection of the cancer (TURBT), patients may undergo re-TURBT, but if no muscle invasive (MI) cancer is found most will receive an induction course of 6 weekly intravesical instillations of Bacillus Calmette Guerin (BCG). In 2014, I was on the Board of Directors of the Society of Urologic Oncology (SUO) when Merck announced having shortages of Tice strain Bacillus Calmette Guerin (BCG), a critical “drug” for treating intermediate and particularly high risk non-muscle invasive (NMI) urothelial cancer (UC) of the bladder, including carcinoma-in-situ (CIS) and high-grade (HG), stage Ta and T1 disease after transurethral resection. The standard initial treatment for urothelial cancer and other tumors of the bladder is a complete transurethral resection (TURBT). This is, of course, also a diagnostic and staging procedure and the information gained from both the endoscopic and histologic examinations have huge prognostic and management implications. But the hallmark of this procedure, particularly for non-muscle invading (NMI) urothelial cancers (UCs) is that all VISIBLE tumor is resected/ablated. Roughly 25% of patients at diagnosis of urothelial cancer (UC) have at least muscle invasive disease  and about half of these have extravesical extension or more advanced disease at that time. Additionally 10–15% of patients who initially have non-muscle invasive UC will subsequently develop muscle invasive or more advanced cancer. The outlook for patients with advanced or metastatic UC, particularly those who do not respond to Cisplatin-based combination chemotherapy regimens is very poor. Radical cystectomy is the gold standard treat-ment for muscle invasive (stage T2 – T4a) bladder cancer, but is associated with a high incidence of complications, readmissions, and mortality [1–3] partially because of the magnitude of surgery and partially because of the significant comorbidity bur-dens patients who develop this disease have [4, 5].